Many people are scared of investing in mortgages in case the borrower does not pay and they have to file a foreclosure. This is a perfectly justifiable fear so let’s look at the risk of loss. Assume the property is worth $100,000 and you have loaned $75,000 against it at 14% per year, interest only or $875 per month. The borrower stops making payments. It costs you $1,800 to foreclose the loan in legal costs plus you have lost interest on your money for the 4 months it takes to foreclose the loan, thus 4 times $875 = $3,500. Assume that you get the property back it costs to $1,000 to clean it up and remove trash and another 2 months to sell it at a bargain price for a quick sale. (2 months loss of income = $1,750). Let’s say you get only $83,700 after selling expenses for a property worth $100,000. Now how much have you lost? You invested $75,000 + $1,800 + $3,500 + $1,000 + $1,750= $83,050. So you end up with a small profit of $650. Not a lot but it beats a loss. Plus you have got 100% of your money back including lost interest and legal costs. The situation changes if you have lent more against than 75% against the property, or it costs you more than $1,000 to clean it up and remove the trash. But remember, not EVERY mortgage will go into default. With at least a 10% cash down payments, past history has shown it is likely to be less than 1 in 20. But let’s be pessimistic and assume it is 1 in 10. Assume you own 10 identical mortgages similar to those above. Let’s say that 1 in 10 go into foreclosure and on that one you end up losing 10% of the money you have invested. 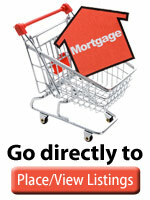 What has actually happened is that you have reduced your yield on your portfolio of 10 mortgages from 14% p.a. to 13% p.a. (Approximately). Is it still worth it? Is this as good or better than you would make in other investments? Visit our Spreadsheet Downloads or our Foreclosure Online Calculators for how to evaluate potential losses.